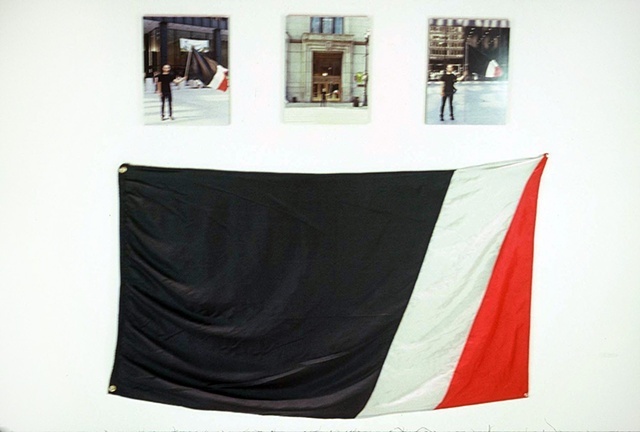 My personal flag along with photo documentation of me staking my claim at the municipal buildings in downtown Chicago. This has evolved into an ongoing project as I have flown my flag at everyplace I have lived since the inception of this project. I am now on my 5th flag.